I often get lost, not only physically (just ask any of my poor friends waiting for me!) but also in my thoughts. I don't necessarily find it to be a bad thing, especially when I can make new discoveries, be it a small cozy cafe, a beautiful stationery store, or about myself. A couple of months ago, I received an email from Carmina, a lovely writer in London who puts together an anthology of poems and illustrations. 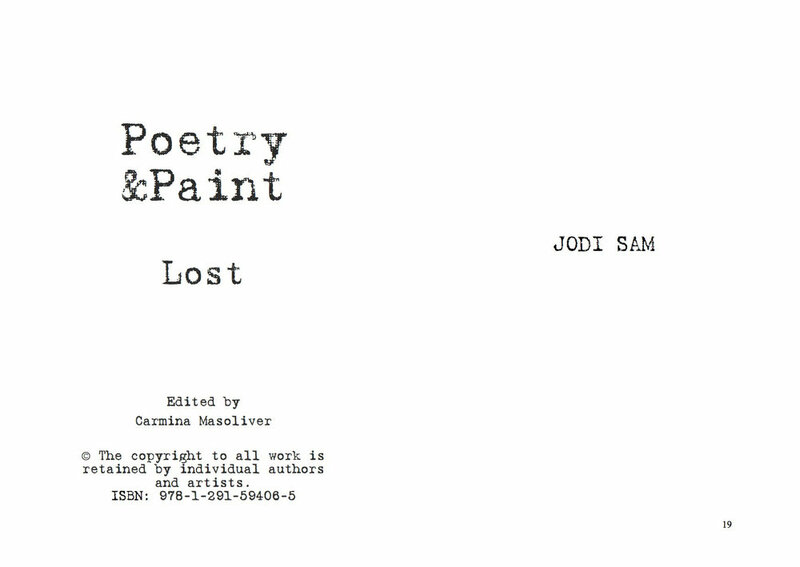 Her next anthology was to be around the theme "Lost". What a great subject I thought. So, am happy to be a part of her wonderful anthology, which features both my poem and illustration, and would like to share it here with everyone. I hope you will like it!